FORT LAUDERDALE, FL—August 5, 2015—Las Olas Capital Advisors launched on August 3, 2015 as a registered investment advisor (RIA) dedicated to helping entrepreneurs and ultra-high-net-worth families meet their long-term financial goals. Las Olas Capital Advisors (www.lasolascap.com) is led by Founder and Managing Director Paul C. Tanner, formerly of UBS. The firm manages in excess of $400 million in client assets and has additional offices in Tampa and New York. The Las Olas Capital team possesses a wide range of expertise related to creating financial solutions, managing risk, generating opportunities and providing trusted advice. 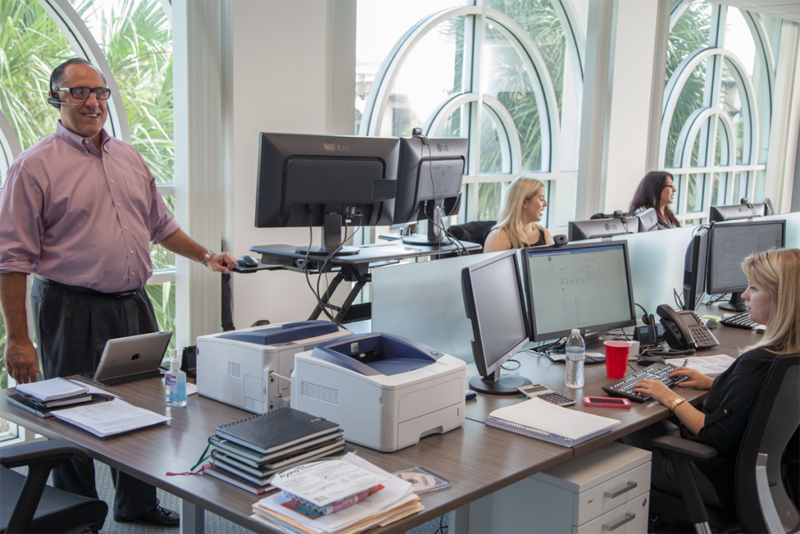 Las Olas Capital works alongside entrepreneurs with family-owned companies to formulate multi-generational business development and transition, as well as wealth transfer, strategies. Las Olas Capital Advisors has partnered with TruClarity, a new, innovative brand in the financial services marketplace that is aggressively capitalizing on the growing exodus of wirehouse financial advisors seeking independence. TruClarity’s core business model serves as a turnkey business incubator, turning frustrated employee advisors into business owners without the need to be business operators. In addition to Mr. Tanner, the Las Olas Capital team includes Merissa Ann Davis, who leads trading and administrative services; Samantha A. Sullivan, who is responsible for portfolio analytics and research; and Melissa Stephenson, who is in charge of digital media marketing and assists with administrative services. For media inquiries, please contact Michael Chiong of JCPR at (646) 922-7764 or mchiong@jcprinc.com. Las Olas Capital Advisors is an SEC-registered investment advisor based in Fort Lauderdale, FL. The firm provides ultra-high-net-worth families and entrepreneurs with both wealth management and merchant banking services. Las Olas Capital specializes in working with entrepreneurs to formulate business development and transition, as well as wealth transfer, strategies for multi-generational families. Las Olas Capital manages in excess of $400 million in client assets and is led by Founder and Managing Director Paul C. Tanner, who has more than 30 years of experience in the financial services industry. The firm has additional offices in Tampa and New York. For more information, please visit www.lasolascap.com.